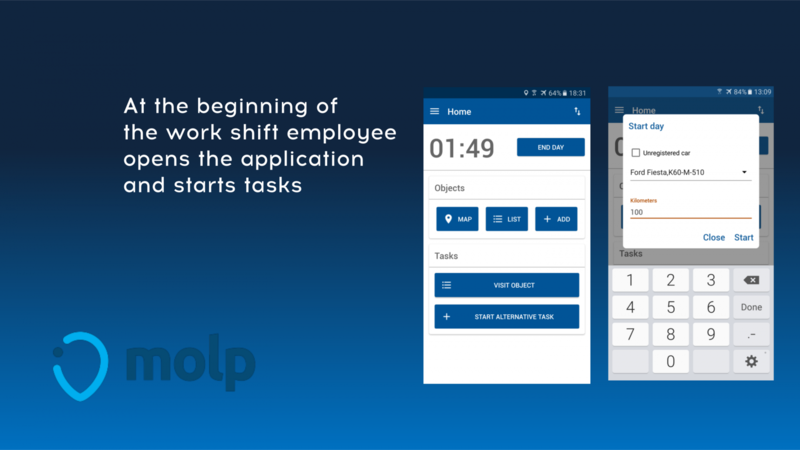 MOLP.com is mobile & web software that tracks the activities of the employees while they are working outside the office. 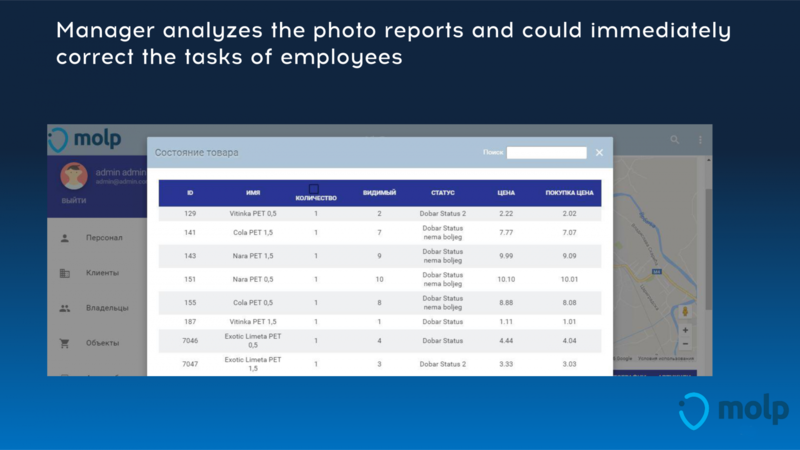 MOLP brings employee collected data and relevant KPI to management in real-time and with daily inflow to do right decisions based on reports. It saves money, time and speeds up the efficiency of working processes in the company. MOLP not only tracks parameters like time, location, visits at customers or locations but also offer options to collect other strategical information where companies are losing money or can gain a competitive advantage like competition info, marketing material, info about potential new customers, foto material, etc. 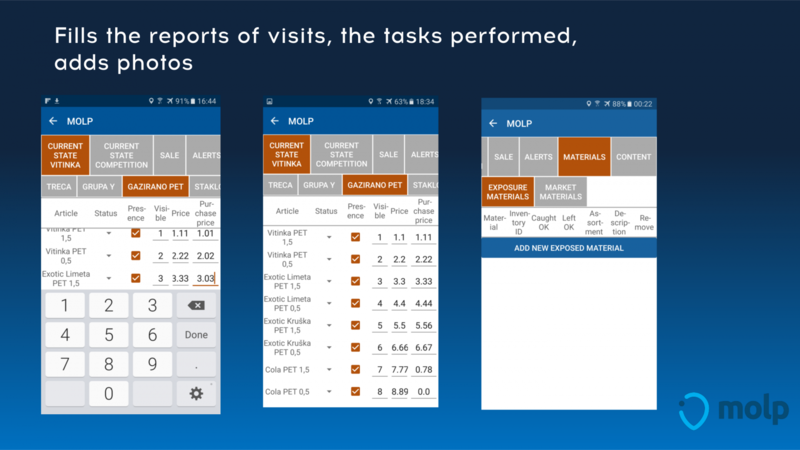 MOLP is a base to optimize business processes in the company and to be more efficient and faster with decisions. 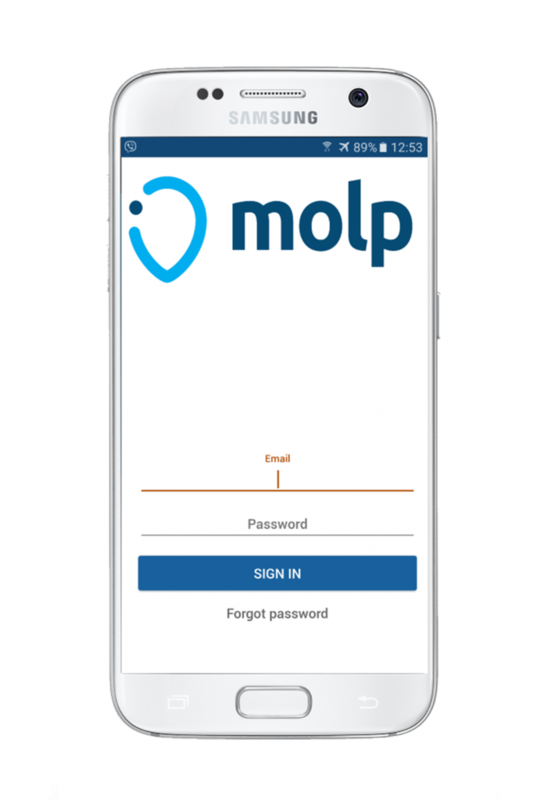 MOLP is universal SaaS tool that can be used by FCMG companies, security agencies, cleaning services, etc. and all type of organization where employee do activities on the field and they need to collect info from the market. The business model is subscription per month per user with some setup fee or project based price. 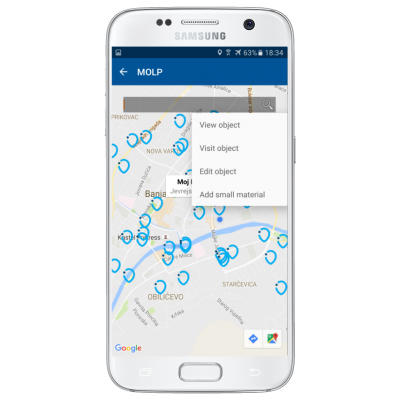 MOLP was developed in partnership with a regional leader of drinks and water products and upgraded in pilot project with security company with 1000+ employees. To control merchandisers, mystery shoppers, forwarders, drivers. 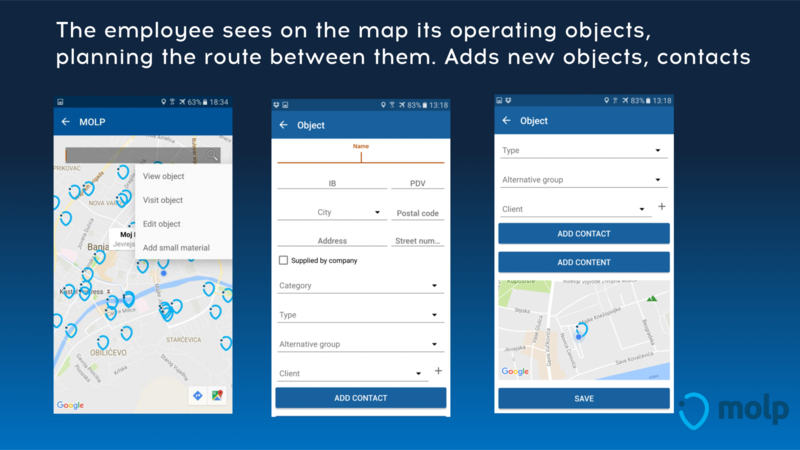 To control suppliers, mystery shoppers, drivers. To control maids, service personnel, suppliers, drivers. To control trade representatives, merchandisers, suppliers, drivers. To control patrols, facility security staff, service personnel.